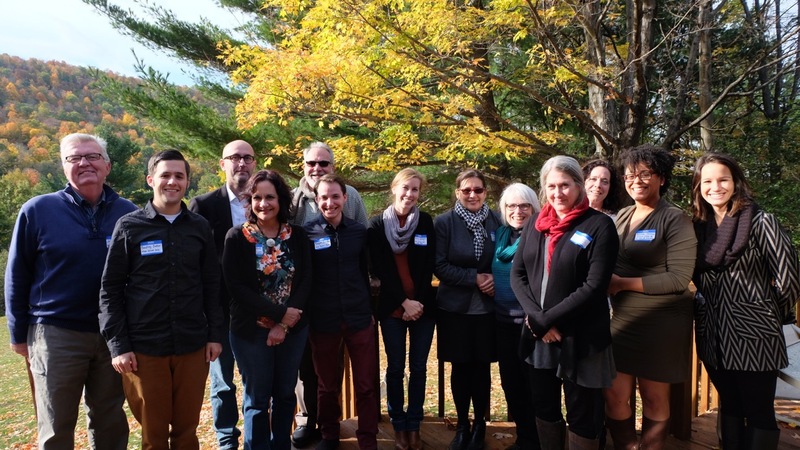 FLCC’s Board of Trustees held an all-day retreat at Gell: A Finger Lakes Creative Retreat – The Gleason Lodge is situated in a beautiful and peaceful setting – perfect for a retreat! Kathy Pottetti and her staff were wonderful to work with and graciously accommodated all our needs and requests. The Gleason Lodge is easy to access, has plenty of parking, and boasts a full kitchen, large dining room, and a great room with stone fireplace and fantastic views off the deck. If you seek a quiet location where your group can truly relax and unwind without the distraction of technology, Gell is a great choice. Janet Carabell, Executive Secretary to the President. Great location, clean and bright, comfortable and an absolute must for those planning a gathering/seminar/meeting especially amidst the fall foliage.